1. We watched American Hustle this month, which I've been wanting to do since it was in theaters. Christian Bale and Amy Adams play con artists who are busted in an undercover op by an FBI agent (Bradley Cooper) and forced into helping him work to take down a New Jersey politician (Jeremy Renner). Jennifer Lawrence is also involved as Bale's manipulative and dysfunctional wife. There's actually plenty of manipulation to go around, and I often wasn't sure who was conning who, which made for some extra fun. There was also an underlying theme that we often con ourselves into seeing what we want to see, whether it's actually true or not, which various characters play to their advantage as well. The film is well-acted with great performances all around: Bale and Adams as old pros trying to survive, Cooper as the agent increasingly desperate to make his operation work, Lawrence as the wife who refuses to be left behind or left out but also not very self-aware. I still wish I'd seen this sooner, but I was also rewarded for my patience. 2. 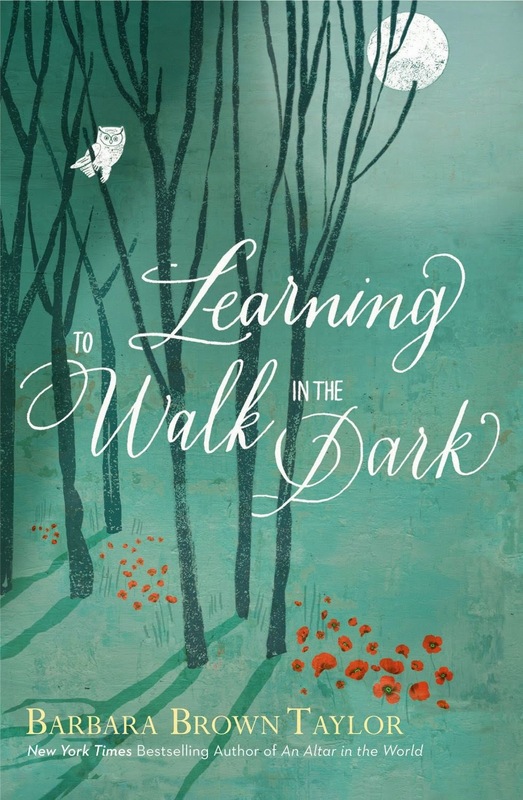 I read Barbara Brown Taylor's newest book, Learning to Walk in the Dark, this month. Taylor explores our traditional notions of darkness and how we associate it with fear, evil, and despair, preferring light instead, which we associate with safety, goodness, and joy. She challenges this binary, suggesting instead that a "solar spirituality"--one that seeks easy paths and may deal in simple answers--should be complemented by a "lunar spirituality:" one that ventures into the darkness rather than avoids it, as that is where depth and growth may occur. She incorporates biology while discussing bodily rhythms and their need for night and darkness, as well as astronomy, particularly in her final chapter written as an ode to the moon. If you're looking for some kind of how-to book about entering into darkness, you'll be disappointed. Taylor writes this more as an invitation to reflect with her on these themes and think about how they may play out in one's own life. 3. The Black Keys' newest album Turn Blue was released a few weeks ago. As with their past few albums, they worked with producer Danger Mouse here, continuing their evolution from stomp-rock into something more soulful and funky while retaining that base sensibility. The opening track "Weight of Love" is a bit spacey and reminiscent of Pink Floyd at their peak, the title track is a great soul-inspired ballad, and the first single "Fever" keeps things moving. The Keys have really become one of my favorites lately, and their latest has only helped with that. Here's the video for "Fever:"
4. We saw X-Men: Days of Future Past this past weekend, which combines the casts of the first three X-Men films and X-Men: First Class. Set in the future, government-commissioned robots known as sentinels are hunting and killing mutants, as well as human sympathizers. A small band of survivors including Professor Xavier, Magneto, Wolverine, Storm, Iceman, and Kitty Pryde come up with a plan to send Wolverine back in time to work help stop the sentinels from ever being created. To do so, he has to find younger versions of Xavier and Magneto, as well as Mystique, who is the lynchpin of the whole thing. It would have been really easy to screw this up with so many moving parts, but I think this movie hit the right mix of character formation and story, sticking with the main task at hand. It is a little darker, but conveying the desperate, bleak situation of the future mutants entailed that. The past reality into which Wolverine is cast--the nation just coming to grips with the end of the Vietnam war--comes with its own challenges and uncertainties. All in all, this was a very well-told story with excellent performances from all involved. 5. The first half of Mad Men's final season just concluded on Sunday, during which we meet up with Don Draper as a bit adrift since being put on leave from the agency. Even though he took major strides at the end of last season toward being more truthful with others, we find he's not exactly being forthcoming about his employment status with wife Megan, which he eventually needs to reckon. While his journey back toward the agency is a big part of this season, the other side of it is his coping with the changing times and the threat of becoming obsolete in an evolving world. Meanwhile, if Don is finding resistance in the form of change, Peggy is finding resistance from those elements that want to remain the same as she continues to try to make her mark. The two first bump up against one another and then help each other by the end, finding that they are dependent on the other for what they need. And now we get to wait another year for no good reason to see how that plays out.